In the past few months, Bitcoin has grown in popularity significantly. The prices have more than tripled, and more and more cryptocurrencies are being introduced every single day. With more people investing in digital currencies than ever before, and with many new investors being new to the system, they may not know what needs to be done to keep their investment secure. Also, hackers are coming up with new, innovative ways to steal funds. If you want to learn how to store bitcoin so it is safe and cannot be accessed by nefarious hackers, then use the information here. The fact is when it comes to storing bitcoin, there are several options that are effective for this cryptocurrency. Finding out about each one is the best way to determine which is best for your needs. This storage option offers a number of advantages over an online wallet. For example, online wallets can be accessed from any location in the world, and they are much more vulnerable to hacks. However, with desktop wallets, you can only access them on your private computer, using personal security keys that have been stored only on that machine. As a result, the exposure of your security key online will be reduced. Even with this additional security, desktop wallets can still be hacked if your machine is infected with malware that was designed to root keys out and steal your bitcoins. An option that is more secure than a desktop wallet for your bitcoins is a hardware wallet. These are actual bits of hardware, such as external USB sticks that you can carry around with you. One of the biggest benefits of this option is that it provides total anonymity for you. There isn’t any personal information linked to this hardware, which means that your identifying data won’t be leaked. A hardware wallet is resilient to malware, and if you lose it, you can recover the funds with a seed phrase. This is another safe way to store bitcoin; however, it does require more of an advanced understanding of how digital currencies work. You can have a paper wallet created online by using different websites or even generate a wallet offline for additional security. A paper wallet can be stored quite easily since they won’t take up much space. Additionally, this storage option provides true anonymity – they are just a bitcoin seed that is written in some method on a sheet of paper. Whether or not we endorse it, online wallets are the easiest and most popular way for users to store their Bitcoin and other virtual currencies. Online wallets are accessible mainly through your web browser or a mobile app (like Coinbase). This is the least secure way to store your assets because no matter how many protections you put in place on your accounts, such as a strong password or two-factor authentication, the main website itself is always susceptible to security breaches that could affect every user’s wallet. Many of these companies do offer insurance and claim that your funds are safe in the event of a security breach. There are more and more services that are popping up letting those investing in bitcoin to actually purchase a physical bitcoin. The coin that you ultimately purchase will have a tamper-proof sticker that covers a certain amount of the bitcoin. If you want to purchase this coin, you will likely have to pay a bit of a premium over the bitcoin’s value that you are buying, which will cover the cost of manufacturing the bitcoin and the shipping to get it to you. Regardless of what method you choose to store your bitcoins, it is important to take additional steps to ensure they are secure. You have to do small things to protect your cryptocurrency. For example, using a password manager, leveraging enhanced security protocols for an email address and using two-factor authentication is a start. For those who are extremely worried about the security of their bitcoins, they should utilize the Advanced Protection feature offered by Gmail or even add additional defenses such as a password or PIN for their phone number to make it more difficult for attackers to gain control of the accounts by transfer of your SIM card to their device. 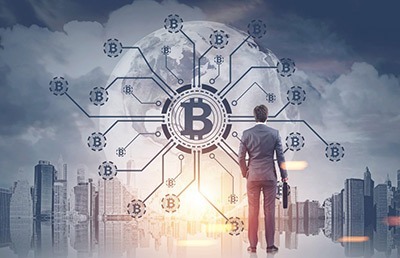 The peer-to-peer nature of cryptocurrency creates an even more secure method of sending and storing your assets, however, security breaches are being done via 3rd party companies that deal with these cryptocurrencies. If you want to ensure your cryptocurrency investments are secure, protected and resilient to hacks and attacks, then you have to have the proper protections in place. Without this, you may find that all the investments you have made are stolen or lost. Take some time to figure out which storage option is right for your needs by reviewing the facts and feature of each one. While there is no completely foolproof way to protect your bitcoins or other cryptocurrencies right now, there are new technologies being introduced all the time. As a result, by using the information here, you can safeguard your investments and ensure you don’t lose money to nefarious hackers. Keep in mind, new options are being introduced all the time. Make sure to do plenty of research prior to selecting one to ensure it meets your needs. This will ensure you get the level of protection you desire and keep your investments safe from those who may want to steal them.